Traverse City St. Francis beat Marquette 21-7 in their home opener at Thirlby Field on Friday. 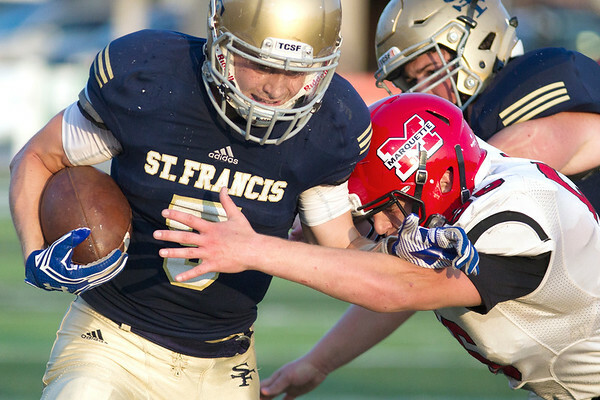 St. Francis running back Teddy Prichard (5) is tackled by Marquette line backer Beau Zorza (56) during the second quarter of the game at Thirlby Field on Friday. The Gladiators beat the Redmen 21-7.